Two going on twenty. : To whom it may concern: It is springtime. It is late afternoon. hi there.. happened to come across your blog. :) it is an interesting blog I just read thoes of your fave products and i would like to try too. too bad i am in thailand not easy to get the first product that you mentioned. Thanks for stopping by! 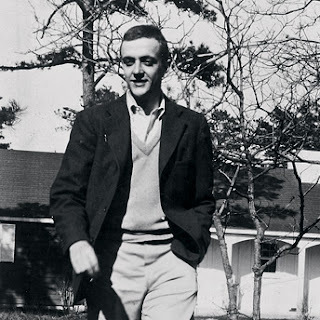 The man in th ephoto is a young Kurt Vonnegut. I posted it on the day he passed away.